Get instant savings by booking a Levanzo holiday package. Just pick your favourite options and let Expedia do the rest. Our impressive global database allows you to look through more than 321,000 properties worldwide and 400 partner airlines. With such a terrific range of options, crafting your dream holiday will be a breeze! Not sure about your booking? There is no extra fee from us for changing almost any reservation. Itinerary looking a little thin? Levanzo holiday all organised but not sure what you're going to do when you arrive? Let us assist. A day on the seashore is the perfect way of keeping the youngsters amused. Take a couple of buckets to Cala Rossa Beach and see who can find the most intriguing shells. Adventurers have heaps of options in and around this destination. What year was it built and what events has it witnessed? Try to find the answers to these questions when you visit Ex Stabilimento Florio, a building of historic importance. Still got time to spare? No matter if you're seeking a boat trip on the bay or just a stunning view, you won't be disappointed by Rotonda Cove. This curve of land and sea is guaranteed to rejuvenate your spirit. End your day of fun adventures with a comfy bed and a fluffy pillow. Scroll through the 21 properties in Levanzo available via Expedia and pick one for your cheap holiday or luxury getaway. 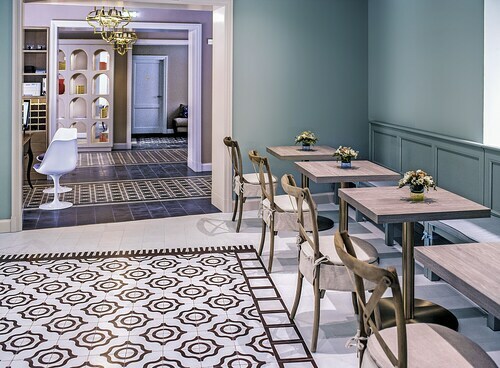 Room service, cosy slippers and top-notch furnishings are just some of the things you should find waiting for you at the Cave Bianche Hotel (Strada Comunale Fanfalo) and the Hotel Tempo di Mare (Via Frascia, 6). Book now for a taste of the high life! 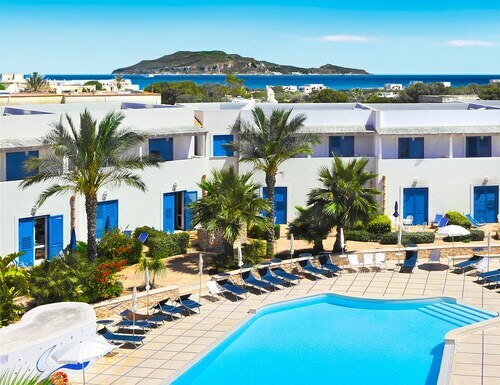 The Blu Vacanze Residence (Via Cimabue 3) and the Residence Favignana (Via Badia Nuova, 1) both have good reviews if you want something more budget friendly. Nobody loves hanging out at the airport. But it's a small price to pay when you remember the holiday that's in store! Positioned 45 miles (72 km) east of Levanzo, Punta Raisi Airport (PMO) is the closest terminal. Situated by the ocean, this holiday home is within a 15-minute walk of Levanzo Harbor and Villa Florio. Grotta del Genovese is 1.9 mi (3.1 km) away. 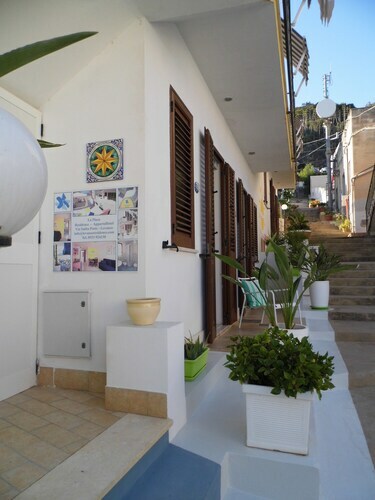 Located in the heart of Levanzo, this apartment building is within a 15-minute walk of Levanzo Harbor and Villa Florio. Grotta del Genovese is 1.8 mi (2.8 km) away. 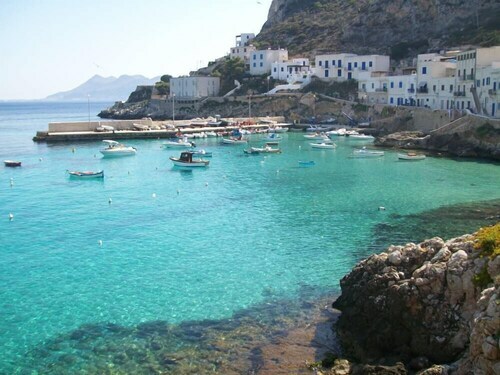 Situated in Levanzo, this apartment building is within a 15-minute walk of Villa Florio and Levanzo Harbor. Grotta del Genovese is 1.7 mi (2.8 km) away. Situated by the ocean, this romantic holiday home is within 1 mile (2 km) of Levanzo Harbor and Villa Florio. Grotta del Genovese is 1.9 mi (3.1 km) away. 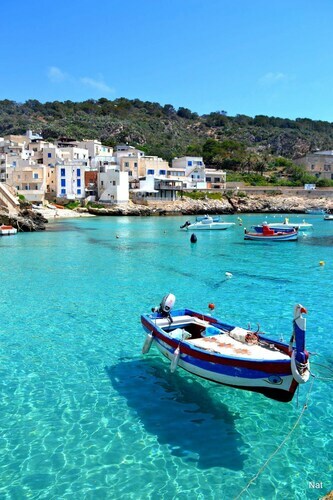 Situated by the ocean, this property is within 1 mile (2 km) of Levanzo Harbor and Villa Florio. Grotta del Genovese is 1.9 mi (3.1 km) away. 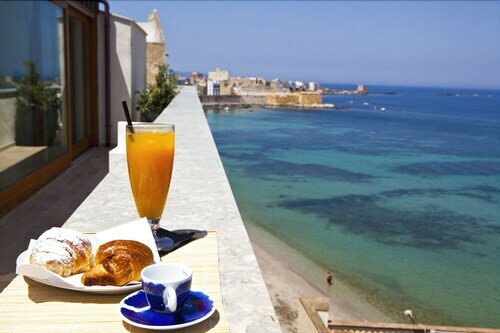 Located in Trapani City Centre, this hotel is within a 10-minute walk of Church of Santa Maria del Gesu and Port of Trapani. Palazzo Senatorio and Palazzo della Giudecca are also within 5 minutes. Trapani Station is 9 minutes by foot. 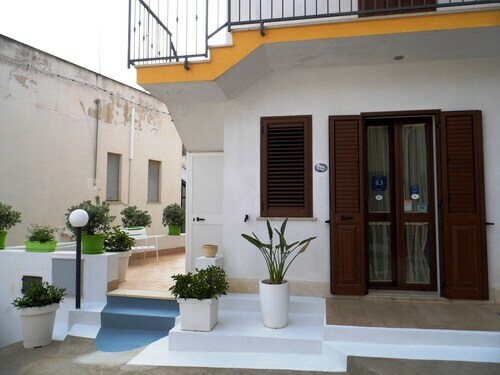 Located in Trapani City Centre, this residence is within a 5-minute walk of Palazzo Senatorio and Cathedral of San Lorenzo. Torre di Ligny and Pepoli Regional Museum are also within 2 mi (3 km). Trapani Station is 12 minutes by foot. 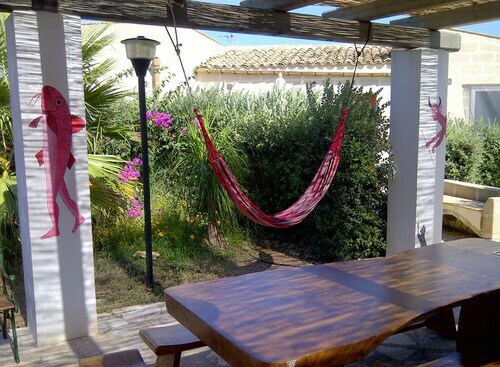 Situated in Favignana, this residence is 0.4 mi (0.7 km) from Favignana Plaza and 2.1 mi (3.3 km) from Cala Rossa Beach. Madrice Cathedral and Palazzo Florio are also within 15 minutes.